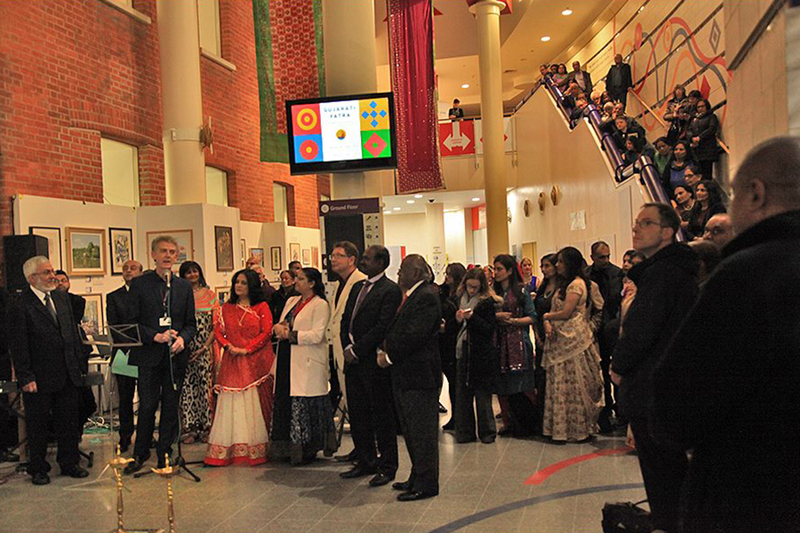 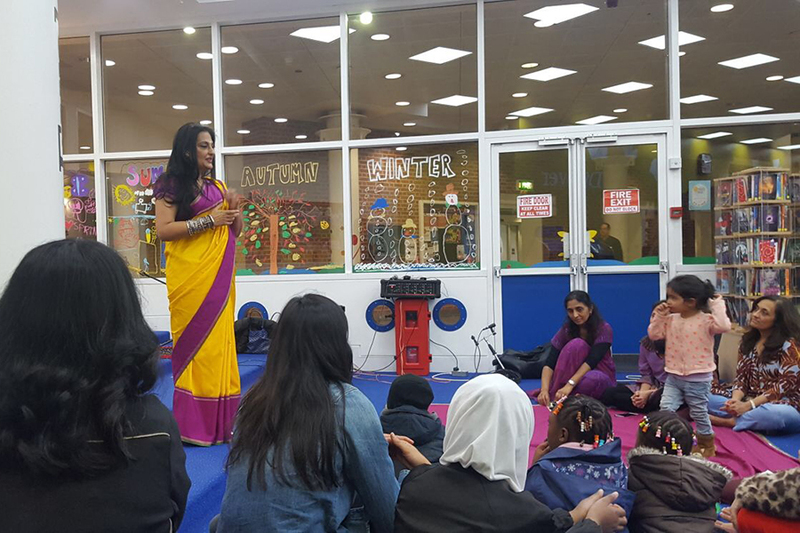 From 14 November 2017 until 14 April 2018 the Museum of Croydon (MoC at the Clocktower) hosted Gujarati Yatra – Journey of a People, a multi-dimensional exhibition and events series. 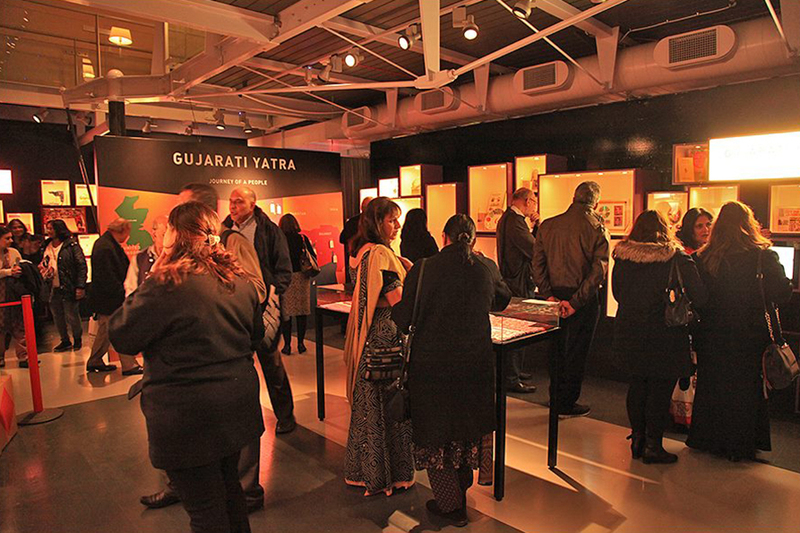 This project highlighted the cultural heritage and the historical journey of the Indian Gujarati community from Gujarat, a state along the north-west coast of India, to the east coast of Africa and eventually to countries in North America and Europe. 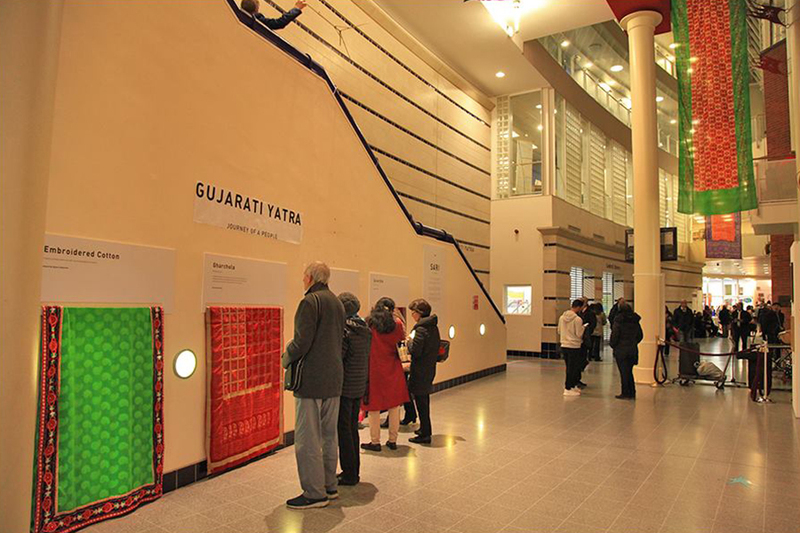 With the support of Museum of Croydon and Archives and Heritage Lottery Fund, one of the most explorative and inspiring exhibition highlighted the journey of the Gujarati diaspora in Britain and how it is influenced by the waves from the past that inherit values of trade, culture and language. 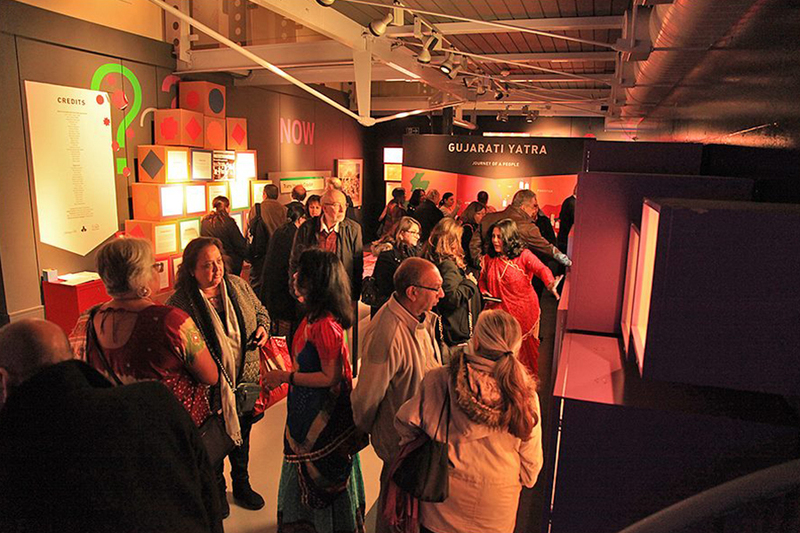 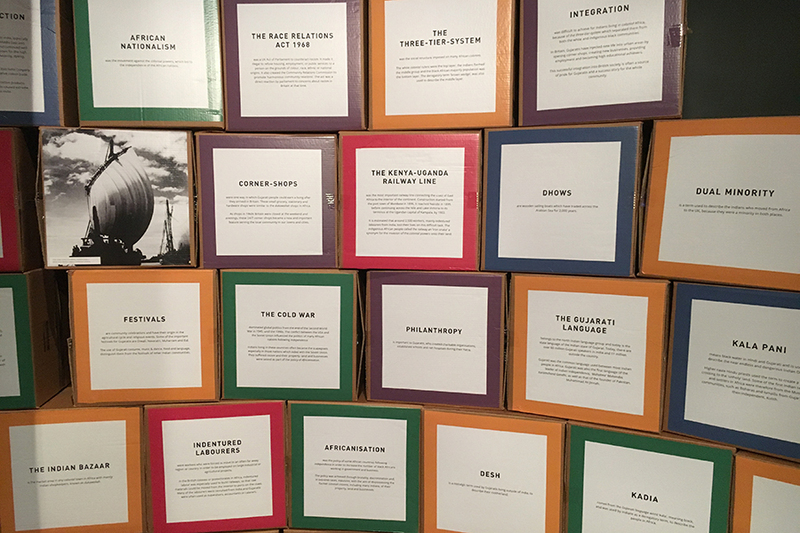 The inspiring exhibition told this story through oral histories, objects, personal reflections, photographs, films, talks, lively arts and culture activities. 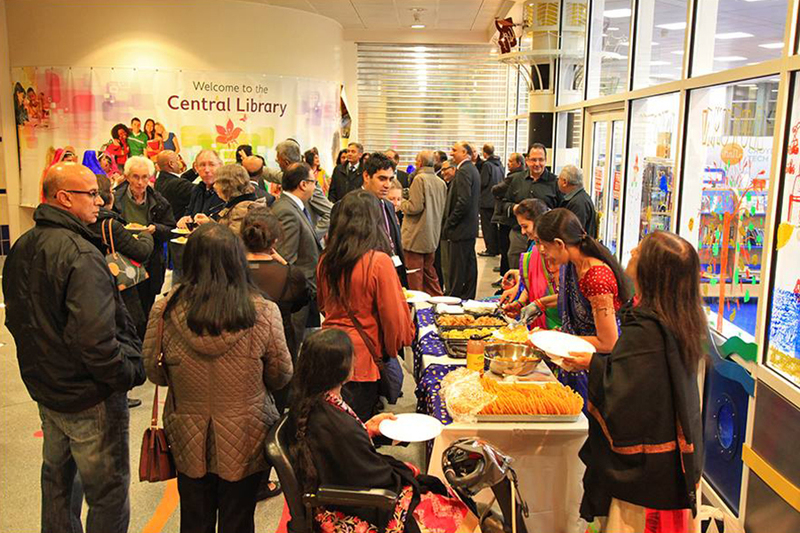 Key collections about East India Company held in the Museum’s archives dating back to 1800’s were conserved and reinterpreted revealing a little known part of local history. 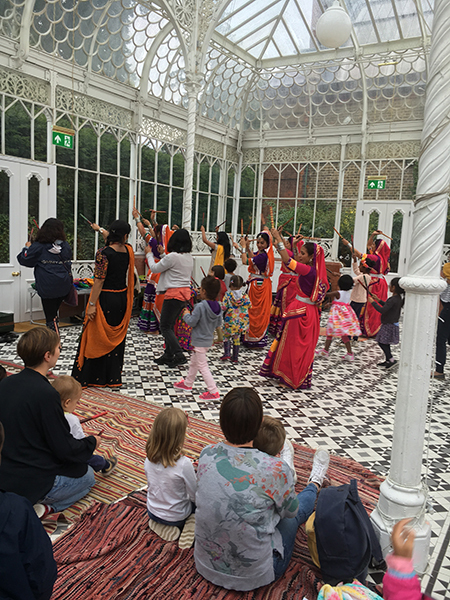 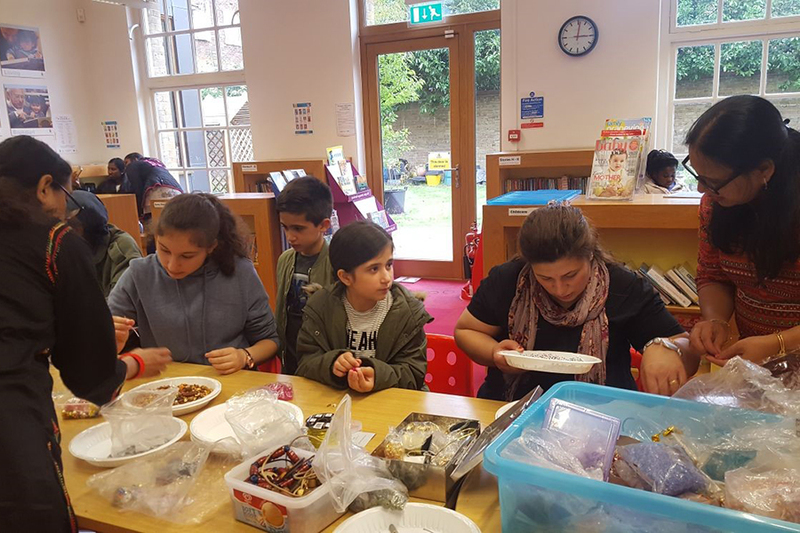 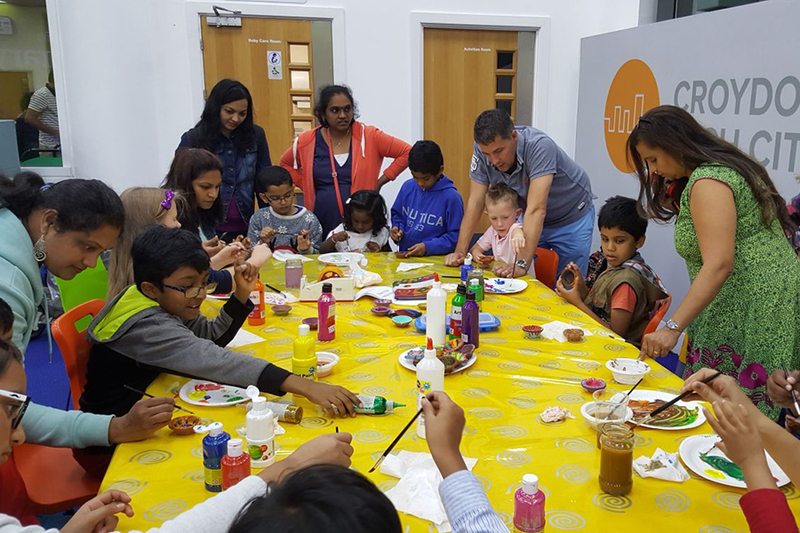 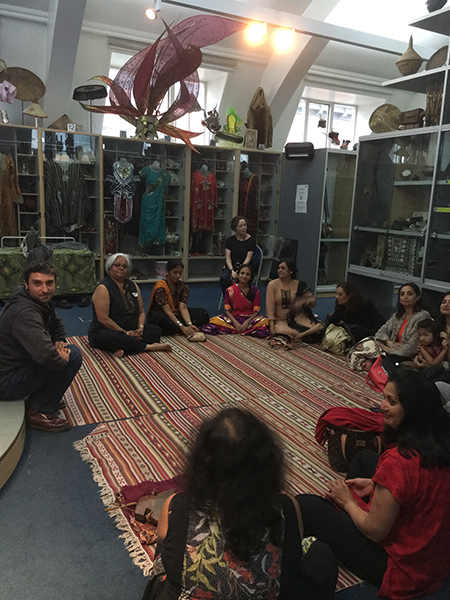 Training programme to learn valuable heritage related skills through Arts Award and workshops with Horniman Museum whose unique collections inspired by travel, exploration and people engaged people with Gujarati history and heritage. 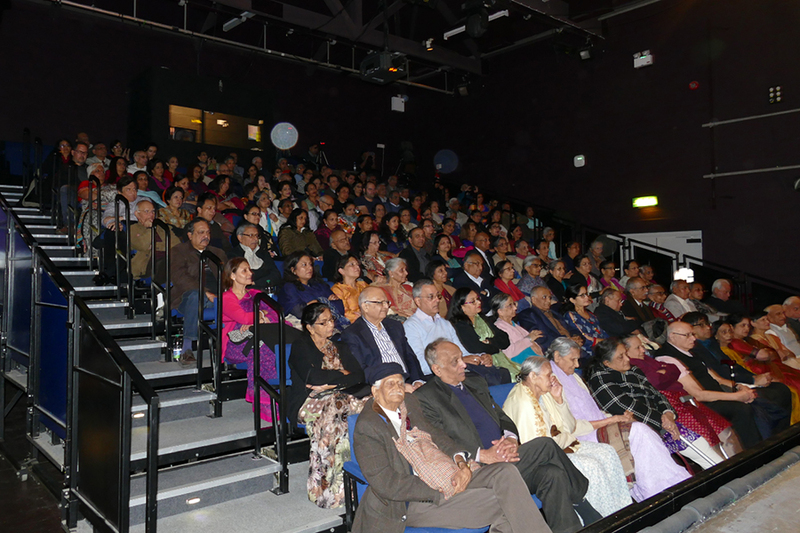 Today the Gujarati diaspora is one of the largest immigrant communities in the UK. 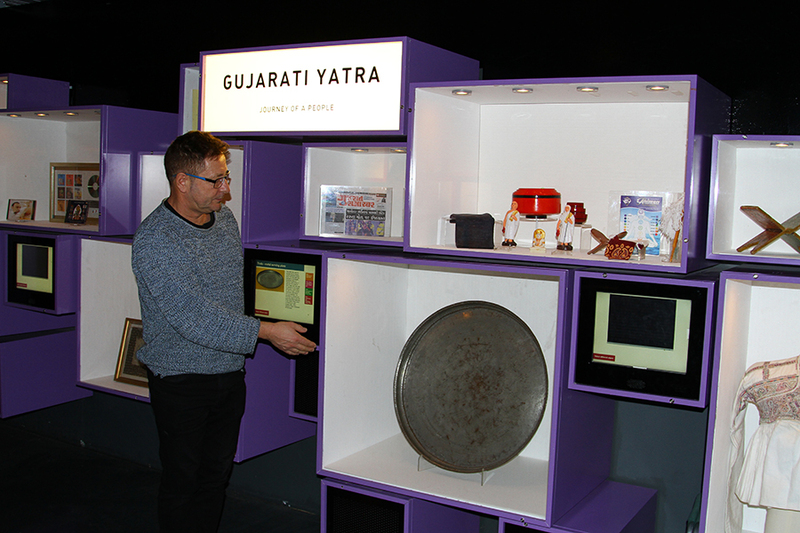 Even before emigrating from Gujarat, Gujaratis had a long involvement with the British, starting with the East India Company, which set up its first factory in the Gujariti port city Surat, then the British Raj in India, and eventually the relationship between post-colonial India and the UK. 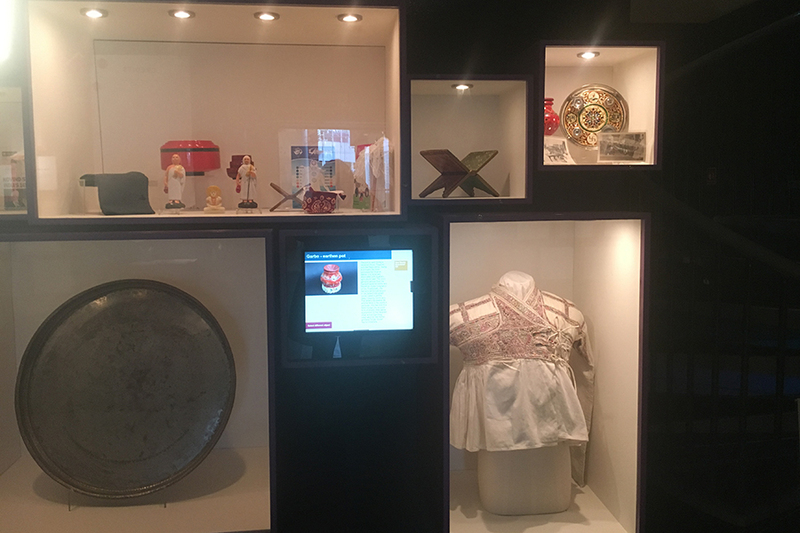 Though at its heart was trade, commercial exchange and search and exploitation of new resources, there was always an interaction of people expressed in tangible and intangible culture, which one can still trace today. 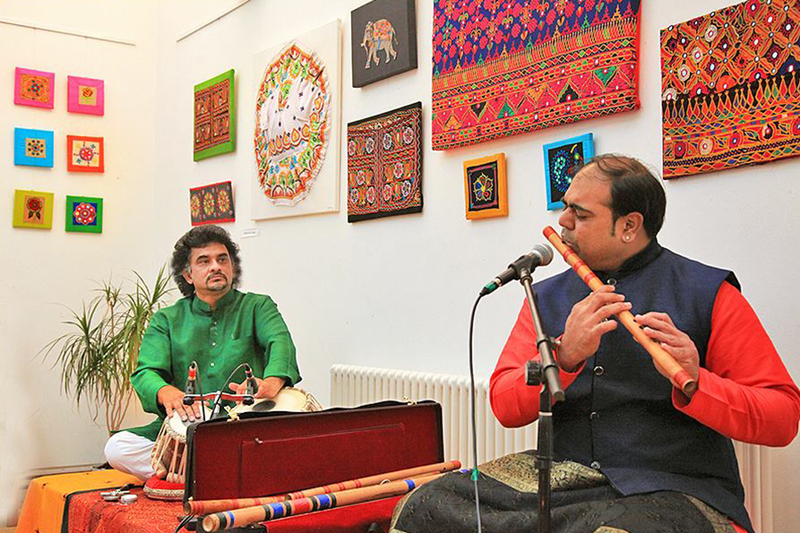 Today many twice-displaced Gujaratis have successfully assimilated into the British society, play an important role in the society’s economic and cultural spheres and contribute in a huge way. 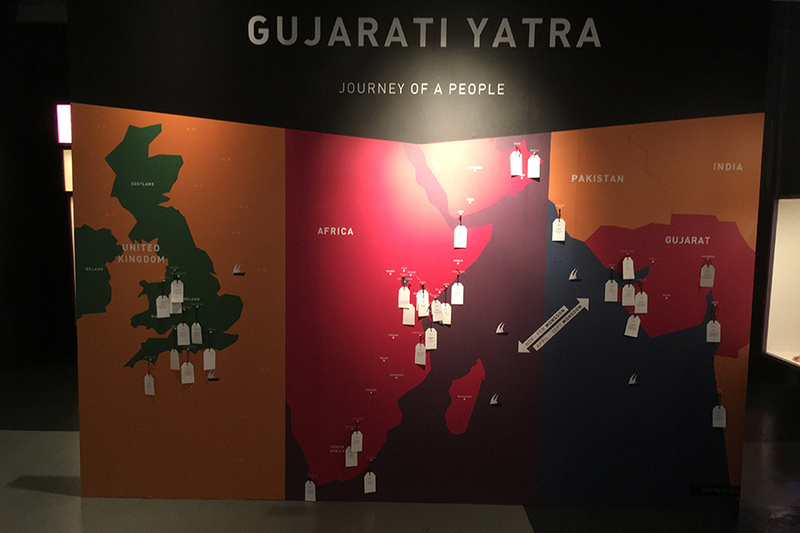 It needs to be considered that the Gujarati community is not a monolithic community, but consists of different sub-communities based on religions (such as Hinduism, Jainism, Zoroastrianism, and different Islamic sects) languages (Gujarati, Sindhi and Hindi) and originated in culturally different parts in Gujarat. 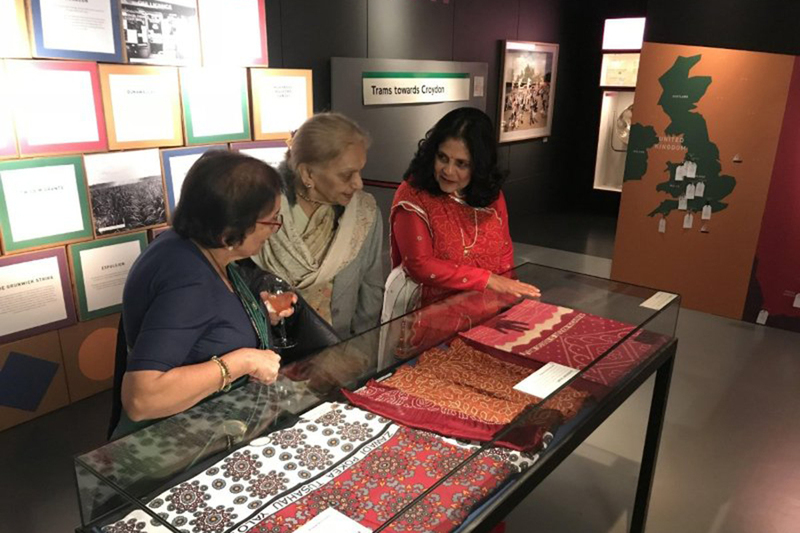 The community activist and Chairperson of Subrang Arts, Lata Desai and the ethnomusicologist and museum curator Rolf Killius were the researchers and curators. 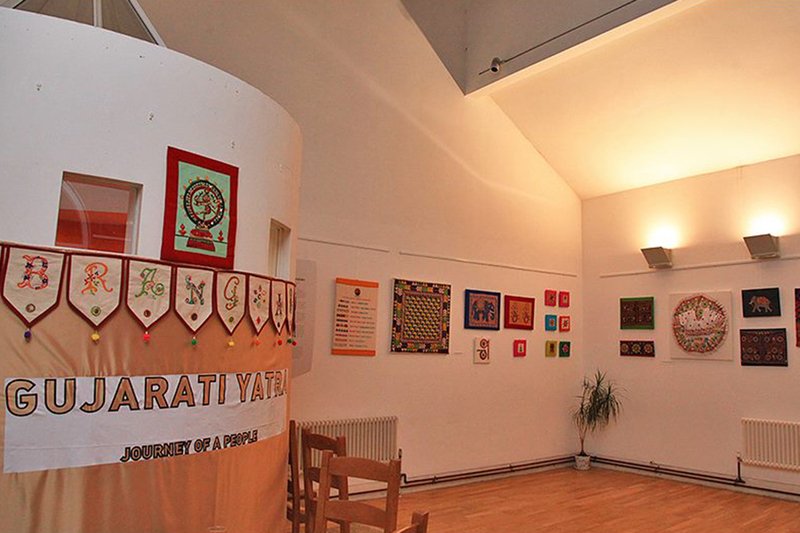 Subrang Arts was closely involved in the exhibition object collection and the organisation of the events series.